I wanted to made something simple and cute for myself. ^^ Anyway, enjoy. It has a nice feeling to it . 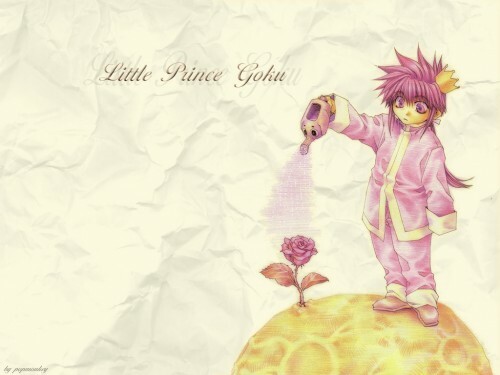 That is possibly the cutest picture of Goku i have ever seen. awwwww cuuuute! I don't know this manga, but I like the little prince very much. thanks for sharing. Goku-chan is so pretty! I love this wall! I love the Little Prince to death. Great job, and very much faved.